husITa16: husITa’s eleventh international conference was held in Seoul, Korea as as technology strand within the 2016 Joint World Conference on Social Work, Education and Social Development. Our archive of husITa16 includes abstracts, powerpoints, images and some audio contributions. Several papers are being included in a special conference related issue of the Journal of Technology in Human Services to be published in 2017.
husITa9: husITa’s ninth international conference – ICT as a Context for Human Services – was held between the 10th and 14th of June 2010 in Hong Kong, China. This event was held in conjunction with the 2010 Joint World Conference on Social Work and Social Development. There are some videos of the contributions. husITa contributed to the Connected Practice Symposium, Human Services in the Network Society, Changes, Challenges & Opportunities, held at the Institute for Advanced Studies, University of Strathclyde, Glasgow on the 14-15 September 2009. Papers from this event were published in a special issue of the Journal of Technology in Human Services, and in Ballantyne, N., & LaMendola, W. (Eds.). (2011). Human Services in the Network Society. Abingdon, England: Routledge. Some contributions are available as podcasts and there are some video commentaries. husITa8: husITa’s eighth international conference – Information Technology and Diversity in Human Services: Promoting Strength Through Difference – was held between the 26th and 29 August 2007 in Toronto, Canada. husITa6: husITa’s sixth international conference – Technology and Human Services in a Multicultural Society – was held from the 12th till the 16th of September 2001, in Charleston, South Carolina. However, the conference was cut short as a result of the terrorist attacks in the USA on 11 September 2001. A brief husITa board meeting was held, the by-laws were approved, and officers were elected. 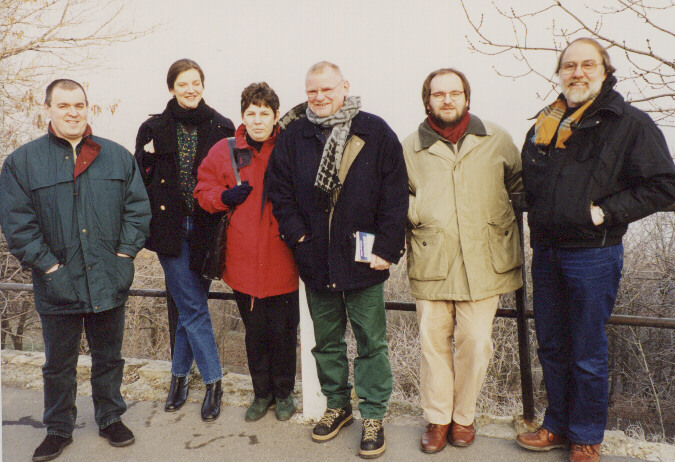 husITa5: husITa’s fifth international conference – Social Services in the Information Society: Closing the GAP – was held from August 29 till September 1st 1999 in Budapest,Hungary. husITa4: husITa’s fourth international conference – Information Technology in the Human Services: Dreams and Realities – was held from the 11th to the 14th of June 1996 in Lapland, Finland. Selected papers from HUSITA4 were published in Glastonbury, B. (Ed.) (1996). Dreams and Realities: Information Technology in the Human Services. Helsinki, Finland:Stakes. husITa3: husITa’s third international conference – Information Technology and the Quality of Life and Services – was held from the 15th to the 18th of June 1993 in Maastricht the Netherlands. The same year saw the formation of a husITa Foundation in the Netherlands which continued until its disestablishment in 2003. Selected papers from HUSITA3 were published in Computers in Human Services, 12 (1/2). husITa1: husITa’s first international conference was held between the 7th and 11th of September 1987 in Birmingham, England. Selected papers from husITa1 were published in Glastonbury, LaMendola & Toole (Eds.) (1988). Information Technology and the Human Services. Chichester, England: John Wiley & Sons.